From a thrilling new voice in fiction comes a chilling and deliciously dark novel about an idyllic Midwestern college town that turns out to be a panorama of depravity and a nexus of horror. For years Normandy Falls has been haunted by its strange history and the aggrieved spirits said to roam its graveyards. Despite warnings, Edmund Campion is determined to pursue an advanced degree there. But Edmund soon learns he isn’t immune to the impersonal trappings of fate: his girlfriend, Morgan Fey, smashes his heart; his adviser, Professor Martin Kingsley, crushes him with frivolous assignments; and his dead-end job begins to take a toll on his physical and mental health. One night he stumbles upon the body of Emily Ryan, an unapologetic townie, drowned in her family pool. 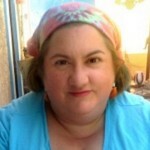 Was it suicide or murder? In the days that follow, Emily’s husband, Charlie, crippled by self-loathing and frozen with fear, attempts to flee his disastrous life and sends their twin daughters to stay with the Kingsleys. Possessed by an unnamed, preternatural power, the twins know that the professor seduced their mother and may have had a hand in her fate. With their piercing stares, the girls fill Martin with a remorse that he desperately tries to hide from his wife. Elsewhere, a low-level criminal named the Gonk takes over a remote cottage, complete with a burial ground and moonshine still, and devises plans for both. Xavier D’Avignon, the eccentric chef of a failing French restaurant, supplies customers with a hallucinogenic cocktail. And Colette Collins, an elderly local artist of the surreal, attends a retrospective of her work that is destined to set the whole town on fire. Kevin P. Keating’s masterly novel delves into the deepest recesses of the human capacity for evil. 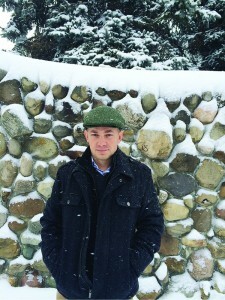 After working as a boilermaker in the steel mills in Ohio, KEVIN P. KEATING became a professor of English and began teaching at Baldwin Wallace University, Cleveland State University, and Lorain County Community College. His essays and stories have appeared in more than fifty literary journals, and his first novel, The Natural Order of Things, was a finalist for the Los Angeles Times Book Prizes’ Art Seidenbaum Award for First Fiction. His second novel, The Captive Condition, will be released by Pantheon Books in July of 2015. He lives in Cleveland. I generally really enjoy dark fiction, but I had a difficult time with The Captive Condition in part because some of the scenes in the early part of the book – twins picking on their little brother – really disturbed me. I am, after all, the poster child for being able to watch any movie as long as no kids or dogs are harmed. Then, too, I read it at the same time that both of my husband’s parents were going through major medical drama – drama which is not yet resolved – so I wasn’t in a good place to really appreciate this story. That said, author Kevin P. Keating absolutely captures the dark malevolence of this small midwestern town perfectly. Critics have compared him to Poe, and there’s definitely a lot of that in his voice. His use of language is finely honed. His ability to set a scene is phenomenal. I was especially struck by the description of the bridge across the falls early in the novel. The man can clearly write the hell out of anything. What I found difficult, however, was that there were really no characters that I sympathized with, especially in the first third of the book. Our narrator/protagonist Edmund is a little too clueless, a little too arrogant, for my taste. His girlfriend seemed mean. His advisor seemed petty. Maybe I was missing something, but I just couldn’t get invested in the story. As readers, we bring as much of ourselves to the stories we read as do the writers who create those stories. 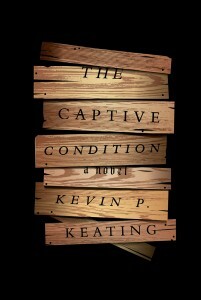 In The Captive Condition Keating has given us a thought-provoking look at the kind of pervasive evil that colors entire lives and communities, and it’s a story I probably would have responded better to if all these external things hadn’t colored my reaction. Goes well with strong coffee and warm apple pie. Trust me, you’ll need them. The Captive Condition, by Kevin P. Keating by Melissa Bartell is licensed under a Creative Commons Attribution-NonCommercial-ShareAlike 4.0 International License. The book felt very Dickensian to me. Which is why I maybe ignored the slow pace and the other items you pointed out. Plus, it was the right time of the year to read it, at least for me. I’ve been busy and it seemed to put me into a fall state of mind. Hard to do with our 100 degree temps these days. Have a great weekend!! What are you reading now? I am reading The Boys in the Boat and finishing up Finders Keepers.